We are proud to announce that this Mar 5th, 2:00 PM to 4:00 PM we will be hosting an Open House at 1001 RICHARDS STREET in the Downtown VW neighborhood, Vancouver West. This is an opportunity to visit this excellent Condo for sale in beautiful Downtown VW. We are proud to announce that this Feb 4th, 2:00 PM to 4:00 PM we will be hosting an Open House at 1001 RICHARDS STREET in the Downtown VW neighborhood, Vancouver West. This is an opportunity to visit this excellent Condo for sale in beautiful Downtown VW. 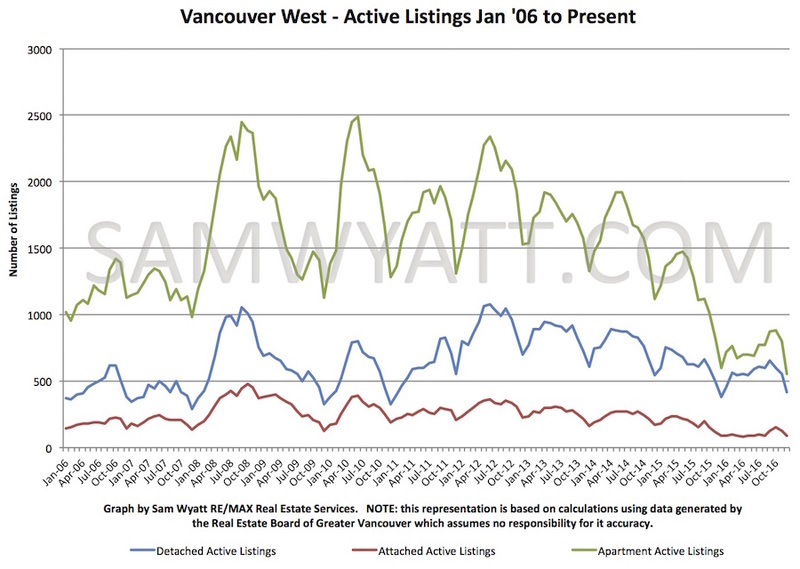 Months of Inventory (MOI) for Vancouver West detached homes fell to 6.59 months in December - right in the middle of a "balanced" market range. 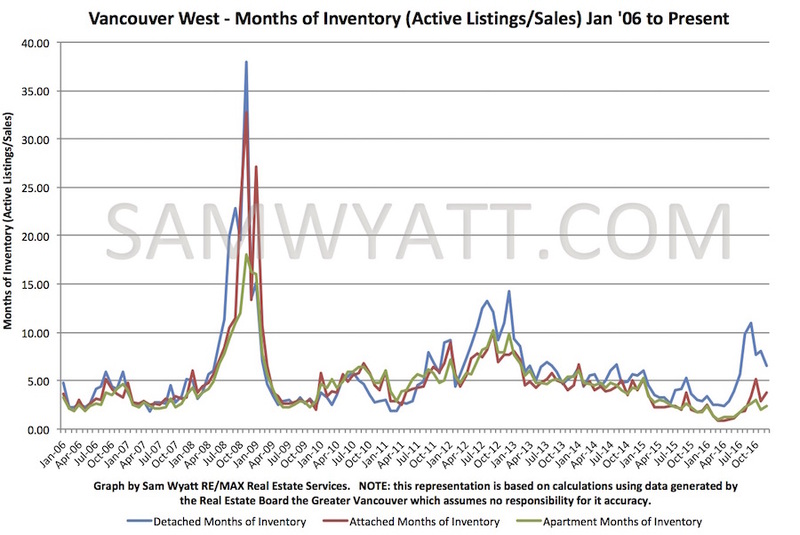 Apartments and attached homes saw their MOI rise but both remain well under 5 months in "Seller's" market territory.